One of the most significant trends in American higher education over the last decade has been the shift in faculty employment from tenured to contingent. Now upwards of 75% of faculty jobs are non-tenure track; two decades ago that figure was 25%. One of the results of this shift―along with the related degradation of pay, benefits, and working conditions―has been a new push to unionize adjunct professors, spawning a national labor movement. 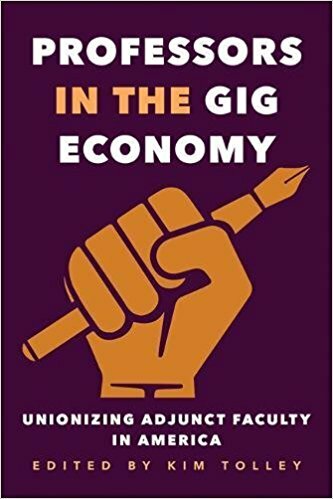 Professors in the Gig Economy is the first book to address the causes, processes, and outcomes of these efforts. Bringing together essays by scholars of education, labor history, economics, religious studies, and law, all of whom have been involved with unionization at public and private colleges and universities, along with substantial research and historical context to bear on the cost and benefit questions of contingent labor on campus, this book will resonate with general readers, scholars, students, higher education professionals, and faculty interested in unionization.